The world of astrology is full of fascinating traits of zodiac signs. People born under a particular zodiac sign exhibit an innate set of similar characteristics, despite the different kinds of environment they are raised in. While some characteristics are commonly known to people, there remain some special features that are not as widely recognized as others. A person born under Aries might be emotionally detached sometimes, but they still love you a more than you think. Since Aries is the first sign of zodiac, these people are born leaders. They hate taking directions from people and prefer to do it themselves or figure it out on their own. According to celebrity astrologer Sundeep Kochar, Arians are often stubborn and rigid in their own thoughts. As a result, misunderstandings in love and expectations can happen frequently for an Aries. Aries have a better sense of life than others. They are a lively lot, who believe in living life king size. Arians believe that actions speak louder than words, and hence they not only talk the talk; they build the path to walk the walk. People born under Aries have a low tolerance for people purposely trying to irritate them. They usually lash out at such people without mincing their words. Aries are great mix between being sensitive and being tough. They are great analyzers of situations, and believe in acting accordingly. Aries people want serious commitment in relationships, be it love of friendship. They prefer hanging out with people who share this belief with them. Unlike their Libran counterparts, people with Aries zodiac are rarely indecisive. They are sharp, focused, and do what their instincts tell them to do. Arians are strong-headed people, so if you lie to them or refuse to admit you messed up, chances are they might never accept you back in their life. If you have ever been in love, you must know that lasting love happens when your partner sees, appreciates, and understands you. A healthy relationship involves accepting your mate as a complex individual, getting inspired by their strengths and helping them overcome their weaknesses. Finding someone you are truly compatible with takes time, but when you do, you vividly illuminate each other. You feel comfortable in your own skin and are unapologetically yourself. Your partner accepts you along with all your quirks and idiosyncrasies. The magical partnership thus formed feels like a match made in heaven – that’s what astrology says about love compatibility. According to celebrity astrologer Sundeep Kochar, celestial compatibility can be calculated using different approaches of astrology. “The science of astrology is just like math – one can adopt any method to determine the outcome. In order to identify the best matches for clients, we usually analyze transits, midpoints and progressions, along with the zodiac sign,” he says. Zodiac sign is determined to calculate the date and time of birth and represents your core personality. The 12 zodiac signs are divided into four groups corresponding to the basic natural elements – fire, earth, air and water. You are best matched with the signs that support the characteristics of your own zodiac. “Different signs mingle with the other signs in their own characteristic ways. For example, Aries, a fire sign, would show great compatibility with Libra, an air sign. Moreover, Aries is ruled by Mars, and Libra by Venus. Both these planets are known for their innate influence on our love life. This makes Aries and Libra a strong couple,” explains Sundeep Kochar. The stars can also help you avoid troubled partnerships. Incompatible relationships can manifest in many ways. However, such matches stifle self-growth, feed insecurities, and create toxic dynamics, irrespective of the efforts poured in by both partners. Love is an exciting and powerful emotion. Astrology helps to discover the most and least compatible signs for you. However, one must remember that all relationships require dedication, mutual respect, and trust. Astrology and Vaastu: How are the two arts faces of the same coin? The principles of Vaastu Shastra are known for bringing love, peace, prosperity and contentment. However, sometimes people complain that they are suffering from diseases, losses, mental worries on account of children, marriage, career, etc., despite their house strictly adhering to Vaastu principles. 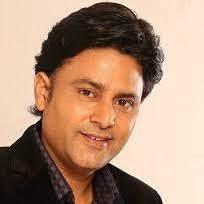 One of the best astrologers in India, Sundeep Kochar firmly believes that astrology and Vaastu have a strong connection. Vaastu is a balance of five basic elements, viz., Earth, Water, Space, Air and Fire. According to the celebrity astrologer, when these elements are laid in proportion to each other, they generate bio-electric energy that bestows prosperity, health and peace upon the natives. On the other hand, astrology refers to the study of the positions and aspects of celestial bodies. It is based on the belief that these planetary motions have an influence on the course of natural earthly occurrences and human affairs. When Astrology and Vaastu are applied in combination, they help the native in attaining a favorable personal space for the overall success and growth. In Vaastu Shastra, there is a common belief that the East direction is most auspicious. The rationale behind the belief is that Sun being the source of all energy, provides maximum energy to the houses which directly face it. However, it is not possible for everyone to get their house constructed facing East. This makes the role of astrology in Vaastu even more crucial. Astrology can help people by guiding them towards the most fortunate path. Changing location of the furniture and other articles in the house according to the horoscope is one way. A person’s horoscope can identify the basic elements of comfortable living, such as auspicious direction, colors, and surroundings. “The plants, trees, entrance and other structures, which are harmful or good in your house, can be also be ascertained with the help of astrology. For example, the East direction is favored by the Sun, the Ascendant, and the zodiac sign Aries; West direction is favored by Saturn. South direction is signified by the 10th house, and is favored by zodiac sign Capricorn,” says Dr Sundeep Kochar. According to astrologer Sundeep Kochar, an Astro-Vaastu analysis can determine and rectify many such things through a person’s horoscope. He is of the opinion that Vaastu analysis and horoscope analysis should favor each other to enhance prosperity, peace and contentment in life. From the royals and celebs to the commoners – gemstones never fail to enchant us with their beauty. Available in different colors and varied prices, gemstones are important components of jewelry pieces, apart from holding astrological significance. “Gemstones harness the positive energy of their ruling planets. For example, blue sapphire is governed by Saturn, red coral is ruled by Mars, and ruby has its ruler as the Sun. Each gemstone has different effect upon different people,” says celebrity astrologer and gemologist Sundeep Kochar. Due to their rarity, gemstones usually cost a fortune, nevertheless find numerous takers. It is an unfortunate reality that the gemstone market today is full of fake, chemically treated and artificially synthesized gemstones, which do not serve the astrological purpose. Moreover, it is very rare to find an astrologer who is qualified enough to help u find the genuine gem stones which can influence your life. Gemology is the science of natural and artificial gemstones and gemstone materials, and people put in years of academic study to become a trained and qualified gemologist. Plenty of gemologists have made a huge impact on the gemstone market. Sundeep Kochar is one of them. For the uninitiated, Solitaire Gemological Laboratories (also known as SGL) is one of the top gemological laboratories in the world. Apart from analyzing and testing various gems, SGL also offers diploma courses in gemology. Revered in Vedic Astrology as one of the navratnas, Red Coral has long been an object of fascination to jewel-lovers. Known as ‘Moonga’ in Hindi language, the Red Coral is governed by the planet Mars (Mangal). The precious gem-lovers due to its lively, bright colour. Red Coral is found in sea, formed out of the remains of small and simple marine invertebrate animals like coral polyps. Also known as ‘Precious Coral’, the gemstone is valued not just in Vedic Astrology, but also in various cultures across the globe. “Red Coral has enjoyed a special status in the Roman, Mediterranean and Native American cultures,” says celebrity astrologer and gemologist Dr Sundeep Kochar. Dr Kochar also sheds light upon the origins and benefits of wearing Red Coral. He also shares the correct procedure to follow while wearing the gemstone. Although the precious Red Coral is found worldwide, the variety found in Italy is considered the best. The Mediterranean nation has been the top coral trader for over 200 years, accounting to about 75 per cent of the world’s Red Coral supply. Apart from Italy, Red Coral is also found in countries like Japan, Australia and Taiwan. Ruled by the God of warfare and vitality, Mangal, Red Coral is believed to aid the wearer overcome his/her adversaries. “Moonga provides the wearer with the necessary courage and enthusiasm to surmount all obstacles of life. It also pulls the wearer out of lethargic attitude,” quips Sundeep Kochar, one of the top astrologers in India. He adds, “The gemstone also uplifts the wearer’s spirits, thus helping the ones suffering from depression. Ruled by the planet Mars, Red Coral should be worn embedded in a gold, silver or copper ring. “The best time to wear the Moonga gemstone is on a Tuesday morning. Before you wear it, cleanse it by dipping into Gangajal for about 5 minutes,” says Dr Sundeep Kochar. However, there are several techniques that can act as stress busters. The only key is to find the right technique for de-stressing. According to Sundeep Kochar, one of the best Vedic astrologers in India, identifying which de-stressing practice suits your zodiac sign is a must. Astrology has the power to curb anxiety and release stress, thereby making an individual happy and full of life. Stress for an Aries comes from their habit of doing everything they possibly can in a limited time frame. They sacrifice in order to take care of others. While it is a good habit to be available for others and help them, it should not be done at the cost of one’s health. For an Aries, the only stress buster is taking out time to rest and loving themselves equally. The fear of failure is something that brings stress to a Taurus. Losing in a situation brings them to a state where they beat themselves up and the maximum impact for a Taurus is visible in their neck and shoulders.“Learning to overcome stress and using it as a tool is the most effective technique for a Taurus to let win in any situation,” says Dr Sundeep Kochar. Stress for a Gemini comes from the scenarios they make up in their minds. Not confronting people and hiding the problems act as two of the biggest sources. Talking it out is a simple way Gemini can let go of their stress. Insecurity is the word that brings stress to a Cancer. Although people born under this zodiac sign are always very confident, but when they are having a bad day, being insecure leaves them dry and emotionless. Embracing the insecurities and accepting the fact that everyone has them will bring easy stress-free days for a Cancerian. Not being in control of a situation brings stress to a Leo. Leaving the decisions in someone else’s hands is not something that a Leo can handle very well. However, understanding the fact that not every situation is favourable for a Leo to emerge as a leader can help them bring in a sense of calm and release stress. Being the taskmaster and making sure everything is organized are two of the significant traits for a Virgo. Over thinking ruins things and combating it is essential. Letting go of the need to see if everything is done according to what they want can bring easiness in a Virgo’s routine, thereby making them stress-free. When someone is unfair with a Libra, they get stressed. Not being able to understand if confrontation will provide a solution or walking away from the situation, Libra usually hangs in the middle. Taking a deep breath, making a decision and abiding it in any case can help them take stress away from their lives. If things don’t go according to plan, Scorpios tend to be secretive and hide in their catacombs. Stress comes from these situations and they keep thinking about how or why things did not happen. Realizing that being secretive and shutting themselves off is not the solution, works as a stress-buster. Learning to be in the situation and control it with continuous efforts can bring the change needed. The need for life to be interesting and full of opportunities is what a Sagittarius wants. Boring and stagnant things in life constrict them. Compromising a little bit and going with the flow can do the trick to make them happier. A constant voice in the head of a Capricorn is ‘do more’. With this attitude, they keep pushing themselves and this leads to stress. Although doing things out of the comfort zone can be productive, it is important to rest and take break every now and then. Stress originates for an Aquarius when things don’t go their way. Commitment and relationships are also in the list of things that stress them. Being emotionally detached is a common trait for an Aquarius when they are stressed. Facing the situation and letting go of the fear are two important things to practice in order to release the stress. Stress comes along with nausea or loss of appetite for a Piscean. Finding balance in the things they do is something that defines their lives. Letting the stress out by engaging in physical activities and letting those emotions come and go are simple and effective things that they can do to calm their minds. “All of us experience an array of emotions throughout the day. Stress is one such inevitable emotion that we have to deal with,” explains Dr Kochar. “It is in our hands to let it overpower us or be strong and emerge as a winner by finding methods that help us release it. The hardest naturally forming material on Earth, diamond derives its name from the ancient Greek word adámas, which means ‘unbreakable’. The epitome of luxury and beauty, diamond has long been a favorite among jewel-lovers due to its transparency and starry luster. According to Sundeep Kochar, a celebrity astrologer and one of the best gemologists in Mumbai, diamond gemstone holds a special place in Vedic Astrology. It is ruled by the planet Venus, which is indicative of splendid fineries, elegance and sophistication. The famous astrologer throws some light upon the origins of diamonds and benefits of wearing them. Diamonds are formed under intense pressure deep under the surface of the Earth. India remained the sole diamond producer in the world until the early 1700s, when the Indian diamond mines started to signs of depletion and a new source of diamond was found in Brazil. Today, Russia, Australia and Botswana are the leading diamond-producing countries in the world. Diamond gemstone improves the position of the planet Venus in the wearer’s horoscope. According to celebrity astrologer and gemologist Sundeep Kochar, a person wearing diamond will have improved and generous thoughts. How to wear Diamond gemstone? Considered one of the most famous astrologers in India, Sundeep Kochar suggests that diamond should be worn following the proper ritual, which activates the true potential of the gemstone. “It (diamond) should be worn in a gold or silver ring, in the last or middle finger of the right hand. Since diamond is ruled by Venus (Shukra), the most auspicious time to wear a diamond is between 5 am to 7 am on a Friday in the Shukla Paksha of a lunar month,” he says. Revered in Vedic Astrology as one of the navratnas, Red Coral has long been an object of fascination to jewel-lovers. Known as ‘Moonga’in Hindi language, the Red Coral is governed by the planet Mars (Mangal). The precious gem-lovers due to its lively, bright colour. Red Coral is found in sea, formed out of the remains of small and simple marine invertebrate animals like coral polyps. Wondering if you could find horoscope analysis, matchmaking, palmistry, face reading and personal astro consultation – all at one place? Celebrity astrologer SundeepKochar has gathered all these services under the umbrella of his new and updated ‘Astro App’. Known for his accurate prediction for the US Presidential elections not once, but twice, Sundeep Kochar call the ‘Astro App’ a small endeavor towards making astrology and related services more accessible than ever. “Through the ‘Astro App’, I have tried to provide a one-stop solution to all astrological queries people usually have. For those who want to know more about Vedic astrology, the app offers an insight into its history and various forms,” says Kochar. 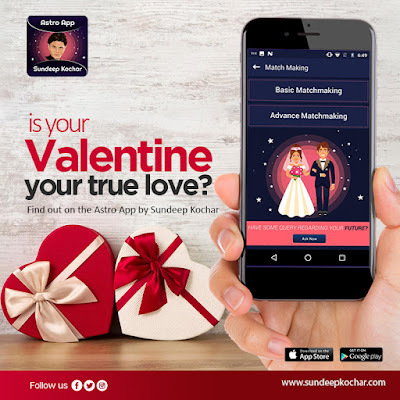 ‘Astro App’ by SundeepKochar is the only app where your queries are answered by the master himself, unlike other available astrology apps where the user is unaware of the credential of astrologers or the computer generated reports. With SundeepKochar’s ‘Astro App’, you can access a plethora of free as well as paid astrological services. The app features Vedic astrology solutions with regard to zodiac and kundli analysis, as well as predictions to one’s future by analysis of the palm and/or face. The chief attraction of the app remains direct consultation with the celebrity astrologer which can be done by booking online appointments. You can choose the service package that suits you the most and ask direct questions from SundeepKochar either way – through the app, over the phone or Skype, or by meeting him in person. 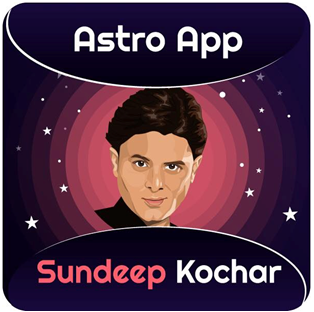 ‘Astro App’ by SundeepKochar is available across Android and iOS platforms for free download. The Indian Achievers Forum, a 20-year-old international networking platform enhancing business opportunities by uniting global achievers on the same platform, recently organized the 12th International Achievers Summit on Global Business Opportunities at Hotel Crowne Plaza, Dubai. The event was organized in association with the United Arab Emirates Ministry of Economy. The summit focused on providing a platform for Indian companies to discuss possibilities of Business engagement with companies in the Middle East. The main highlight of the event was the felicitation of global achievers who have done exemplary work in their respective fields. The Chief Guests for the evening were HE Abdulla Al Saleh (Under Secretary for Foreign Trade, Ministry of Economy UAE) and HE Suhail Mohd Al Zarooni (Chairman, Al Zarooni Foundation and Suhail Al Zarooni Group of Companies, Dubai). Among the dignitaries present at the event were senior leaders, diplomats, and various prominent personalities, which included Sunil Shastri, Akula Venkata Ramana, Harish Chandra, Dr Minnie Bodhanwala, Narengbam Samarjit Singh, Dr Sudipta Narayan Roy, Sahbnam Asthana, KN Jayaraj, Dr Sundeep Kochar and Suresh G Panicker. For his exemplary work for creating awareness against the superstitions associated with Astro Sciences on a global scale, celebrity astrologer and life coach Dr. Sundeep Kochar was awarded with the prestigious ‘Brand Impact Award’. Dr Kochar took the opportunity to thank the Indian Achievers Forum for bestowing the honor upon him. He said that he was overwhelmed by the recognition given to his work at this wonderful global platform. “The Indian Achievers Forum has done a brilliant job in organizing this event. Dubai has been very warm and welcoming and accorded excellent hospitality to us all,” he said after his receiving the award. Among the other winners for the evening was Shabnam Asthana, who bagged the Award for Public Relations. Asthana expressed her gratitude towards the Indian Achievers Forum for awarding her, and said that she is optimistic about the excellent business opportunities in the future between the two countries – India and the UAE. Astrology and meditation share a deep interdependence. Celebrity astrologer Dr Sundeep Kochar talks how meditation is influenced by your stars. Meditation is a highly effective technique that can help a lot in dealing with problems arising from the busy lifestyle we follow – anxiety, stress, and illness. Most people are aware of the fact that meditation is a tool to achieve spiritual self-discovery, but did you know that astrology and meditation are intertwined concepts? According to celebrity astrologer Dr. Sundeep Kochar, you can boost the relaxation effect of meditation using the elements of your zodiac sign. Applying astrological guidance in the right manner aids you in decoding the potential bestowed upon you by the celestial bodies at the time of your birth, and that is what makes astrology an insightful resource on your road to self-discovery. HOW ARE ASTROLOGY AND MEDITATION CONNECTED? According to Dr Sundeep Kochar, one of the top astrologers in India, each of the 12 zodiac signs belongs to one of the four astrology elements: Fire signs – Aries, Leo, Sagittarius; Earth signs – Taurus, Virgo, Capricorn; Air signs – Gemini, Libra, Aquarius and Water signs – Cancer, Scorpio, Pisces. Each group of zodiac signs, in its own turn, represents certain character traits and archetypes, which indicate the state of a person’s higher consciousness. When we meditate, we raise the frequency of the brain activity in order to reach the state of higher consciousness. Dr. Kochar suggests having a symbol of your astrology element near you (or at least in your visualization) during meditation. It can help you in quickly finding the needed frequency and experiencing full resonance with the harmony of the energy-informational world or the field. HOW ASTROLOGICAL ELEMENTS HELP IN ENHANCINGTHE SPIRITUAL EXPERIENCE? It is important to understand and appreciate that we are influenced by all the four elements – fire, earth, air and water – and each is represented in our birth charts in some way. A certain astrological element might be present in a person’s chart in a more dominant way than others. Incorporating this particular element in your meditation ritual can do wonders for you, suggests Dr. Sundeep Kochar. We humans are curious a lot; always wanting to know what the future holds in store for us. In the times of misery, we promptly look forward to find out whether the hard times will come to an end and if yes, then when? It is this inquisitive nature of the mankind that drives people to consult astrologers. However, some people scoff at the pseudo-science of astrology due to the superstitions attached with it. According to celebrity astrologer Sundeep Kochar, there are two main reasons as to why some people show skepticism towards astrology. “It (Skepticism) is usually borne out of a lack of understanding of the underlying concepts. It’s natural for a person to be a skeptic if he doesn’t understand what astrology actually is. Once they get clarity of the concepts, it automatically changes the way they perceive astrology,” he says. While there are some people who fool people by using astrology as a tool, famous astrologer believes that there is some element of prejudice against astrology that also plays some part in the denigration of this subject. “When a doctor makes a mistake, it is his skills that are to be blamed, not the medical science as a whole,” he says. The celebrity astrologer quips that modern science divides the universe in two parts – the known and the unknown. “Whatever is unknown today, will become known tomorrow. Over a period of time, everything will become known one day. However, there are certain aspects of the existence. Complete comprehension of such things is almost unattainable in the domain of human knowledge. Certain aspects of future also belong to the same domain,” he says. 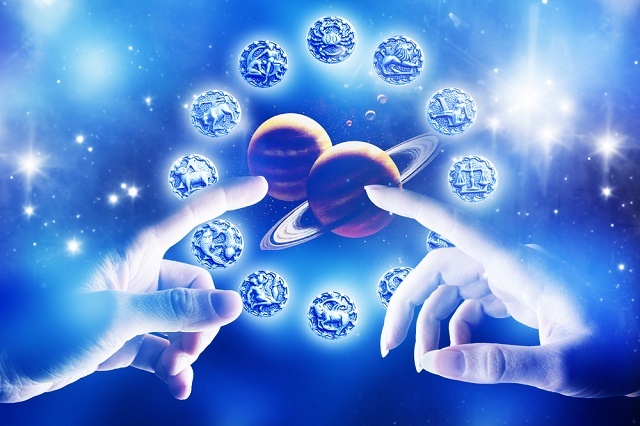 Ace astrologer Sundeep Kochar believes that astrology is not meant to “show” the future; it is merely a guiding force. According to him, the pseudo-science of astrology can only show a person the most fruitful path. However, the final outcome of a course of events always depends upon the path a person actually chooses. One of the most magnificent gemstones, Ruby is a sight for sore eyes. Commonly known as Manik in India, the gemstone has long been a favorite among the monarchs worldwide, including Catherine of Aragon and King Henry V of England. Carved gemstone rubies were admired for attracting prosperity and enhancing mystical powers. Celebrity astrologer and gemologist Sundeep Kochar brings you a concise guide to the majestic Ruby – its origins, benefits and how to wear it. The most important sources of rubies are in Asia and Africa. Historically, Burma (now Myanmar) was always considered to be the preeminent source of the finest rubies and stones have been found there for over 1,000 years. 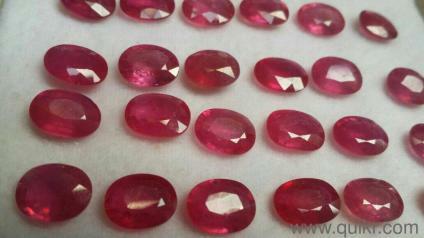 Rubies also occur in Sri Lanka, and have also been mined in Thailand, Cambodia, and Vietnam. Sri Lanka produces the most phenomenal and largest star stones, but the rubies are generally more pinkish than their Burmese counterparts. A much revered gemstone in the Vedic Astrology, ruby is ruled by the Sun and hence reflects the Sun’s warmth and energy through its crimson hues. According to astrologer Sundeep Kochar, rubies can help a person overcome timidity. “Ruby is a warm gemstone, and hence revitalizes the wearer’s internal system – both physical and mental,” he suggests. Since the Sun is the King of the zodiac, wearing a ruby is also known to shower the wearer with immense favors from Lady Luck. The gemstone also helps in improving the eyesight and blood circulation of the wearer. Also, the crimson red color of Ruby promotes love and passion, and is often gifted as a mark of undying love. How to wear Ruby gemstones? Blessed with the aura of the Sun, ruby is a powerful gemstone. Hence, it is imperative to wear it following proper rituals. Celebrity astrologer and gemologist Sundeep Kochar suggests embedding the gemstone in a gold ring to achieve best results. The most favorable time to wear a ruby, according to Sundeep Kochar, is on a Sunday morning within first hour of sunrise. The astrologer also recommends cleansing the gemstone to eradicate any negative aura by immersing it in Gangajal. The mantra ‘Om Suryay Namah’ should also be chanted while wearing a ruby. Busy schedule, lack of sleep, piling stress, exhausted body and mind – that’s a typical metropolitan person for you. Being a part of the rat race has taken toll on people’s internal peace. We are running so relentlessly after money that we are losing in the process the most precious things we have – our mind, body and soul. Yoga and spirituality offer a holistic package for a healthy living. However, both are deeply connected with each other. According to celebrity astrologer and life coach Sundeep Kochar, yoga and spirituality are similar in the fact that they are personal yet universal. “Both are different faces of the same coin. They fulfil one ultimate aim – showing the path to a healthy, happy and peaceful life,” he says. Sundeep Kochar, who is quite a yoga enthusiast himself, has been actively associated with promoting the art from last few years. He has been a regular attendee at the International Yoga Day Celebration organized by the Indian Consulate in Dubai. The event, organized at the World Trade Center in Dubai, has been attracting a number of prestigious guests like Yoga Guru Swami Ramdev, the UAE Minister of Happiness Ohood Al Roumi and Saeed Hareb, secretary general of Dubai Sports Council. The event has also garnered an attendance of more than 20,000 participants from over 100 countries. The celebrity astrologer has been gracing the International Yoga Day Celebrations in Dubai with his hosting skills since last three years. This year he is looking forward to be a part of the event for the fourth time. The celebrity astrologer praises the Indian Prime Minister Narendra Modi for taking Yoga to the UN, which then passed a resolution and declared June 21 as the International Day of Yoga. Kochar, who shares cordial relations with Swami Ramdev, credits the Yoga Guru for popularizing the Indian tradition of Yoga across the globe. “Today, the world is appreciating and admiring the wonder Yoga is. People are acknowledging the fact that Yoga is not just a device to attain physical fitness, albeit it also aids a person attain spiritual fitness,” the astrologer says. With his show ‘Comedy Nights with Kapil’, India’s funny man Kapil Sharma became a household name. The show was one of the most remarkable achievements of his career, and an instant hit among the audience. It made Kapil Sharma a star overnight. However, sometime later, the show’s success was overshadowed by numerous controversies. The set caught fire; ‘Gutthi’ left the show, rejoined and left again. Now, I know people are still divided upon whose fault it was. But from what I have deduced, the controversies that surround Kapil Sharma are just a result of his unfavourable stars. 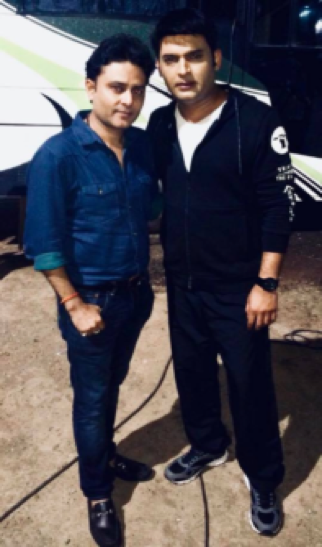 I happened to meet Kapil Sharma after his show took off. I had studied his horoscope and forewarned him about the unfavourable Shani-Ketu Dasha. My warning turned out to be true. The show’s set caught fire in September that year. The hardships Kapil Sharma is facing right now are just a part of ups and downs we all go through our lives. Kapil has a great horoscope. He is going through a turbulent phase right now because of changes in his grahadasha, but everything will be fine soon. Once this phase has passed, he will bounce back and achieve greater success. We all must remember that a person’s success or failure is a mixture of his karma and his grahadasha. Kapil Sharma is a man of immense talent. Time and fate don’t always support everyone. There is an old saying which goes like this: ‘Success attracts more enemies than friends.’ I personally believe that same has happened with Kapil Sharma. However, once he has gone through his share of hardships, it will be his time to shine yet again. The soul, a mystical entity that science has failed to explore, is one of the basic and most innate units of life. Our past karma and our present actions come together and weave what we know as Destiny. While science cannot explain the influence of good or bad deeds upon our future or how one can attain supreme peace or Bliss, the art of astrology can. According to the spiritual leader and founder of “Art of Living” Foundation, Sri Sri Ravi Shankar, there is an unbreakable bond between astrology and spirituality. 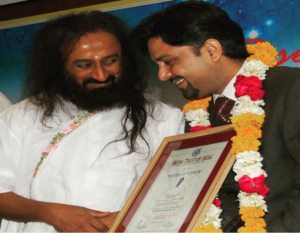 Celebrity astrologer and life coach Sundeep Kochar, who has been honoured with “Master of Wisdom” Award by the Sri Sri Ravi Shankar himself, agrees with the spiritual guru’s viewpoint on the connection between astrology, soul and destiny. “Astrology serves as a guide, which shows you the most favourable path while warning you of the possible hardships that might occur along the way. The placement of planets in one’s horoscope can tell a lot about what a person might face. However, nothing is permanent. A change in thoughts and karma holds the power to change a person’s destiny, along with the right decision at the right time” the celebrity astrologer states. According to the ace astrologer, the phases of the moon also affect our psyche and in turn, our destiny. “Every two and a half days, the effect of the moon over our mind changes. So, if you are feeling miserable during a particular day, know that it won’t exceed two and half days. There will be a break and then the melancholy might come again. These times test a person’s righteousness, and hence are crucial for a better future,” Sundeep Kochar says. One of the best astrologers and life coaches in India, Sundeep Kochar suggests that all the negative emotions are just a passing phase. Some adverse planetary combination might be at play, and this is where astrology comes to your aid and guide you through the journey of life. I believe that combination of ‘Astrology & Spirituality’ gives a person some unexplainable strength to choose the right path, fight his/her circumstances and emerge a winner by attaining supreme peace (State of Bliss),” he says. The love bells are ringing loud as we count down the days to Valentine’s Day. If you are single, you must be wondering where the love of your life is. Interestingly, what determines your love life, lies in the stars, opinionates Sundeep Kochar, one of the top 10 astrologers in India. With your sign, the potential to meet love of your life is very high. The current placement of stars show positive signs, and some adventures awaits to pop up in your life at the very last minute. Patient and loving Taurus sign is showing a pattern of discovering love within a friend who is very close. The stars also convey, it’s to throw caution to the wind and see if your friend is more than that…. The notion of spirituality transcends the world of divine science. Ace Celebrity Astrologer Sundeep Kochar emphasizes that these beliefs breathe comfortably next to advanced technology. The world we live in is standing at the juncture where these two meet. The impact of spiritual beliefs on various aspects of our life is said to be clear and irrefutable.Various studies based on neuroscience and positive psychology have proved how a spiritual perspective leads to a healthier life, and a happy one too. When we say “spiritual” we mean, “the one that is related to or affects the human spirit or soul. It impacts the deeper aspects of human beings.”Spiritual people are different. They are contended, healthier, have better perspectives, and are much more enlightened than others. In the words of Sundeep Kochar, “Following a spiritual path is imperative to rejuvenate your inner self.” He firmly believes in the ideals of spirituality and has healed many people with his astrological predictions, and remedies based on his calculations. Considering yourself as a spiritual being, you can rediscover your natural, inner treasures of peace, compassion, virtue, happiness and wisdom. However, the idea of spirituality does not confine itself to a certain form. It is the freedom of belief. “Spiritual identity is deemed as a ray of hope in the state of despondence and dejection. It is only through experiencing your spiritual self that you can connect with the supreme power and enlighten yourself. A strong spiritual outlook helps you in seeking the meaning in life’s difficult circumstances,” adds Dr Sundeep Kochar. A well-known body of evidence has established that spiritual practices are associated with better health and the well being for a number of reasons. Contemplative practices such as meditation, prayer, yoga and journaling induce feelings of compassion, empathy and gratitude. Considered the most effective medium connecting soul and mind, these practices also help in combating anxiety disorders, improving attention, memory, immunity, emotional control, cognitive performances and creativity. Modern scientists believe that majority of the bodily ailments are psychosomatic in nature. They are mainly psychological and an outcome of stress. It is believed that only spirituality in the form of meditation can help overcome this anxiety and stress. Adhering to a particular spiritual tradition is believed to bring various health benefits as well. Majority of the traditions lay great emphasis on treating the body with kindness and avoiding unethical behaviours. Having said all that, it is quite clear that spirituality is the answer to majority of the problems in life. Maybe it’s time we start looking for all the good in these ancient beliefs to attain the path of salvation. Eminent astrologer Sundeep Kochar is a popular name all around the world. From being a celebrity astrologer to making debut with the Marathi movie Bhavishyachi Aishi Taishi — Sundeep Kochar’s journey has been no less fascinating than his profession. 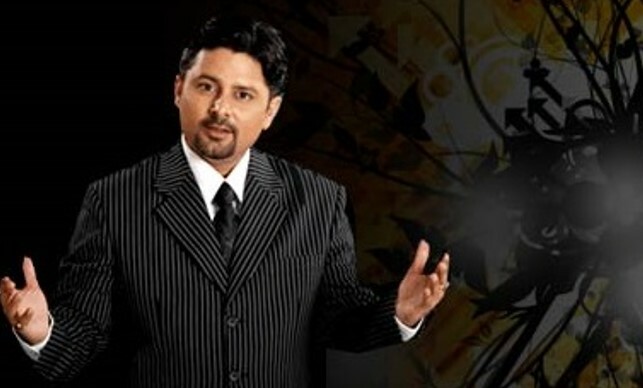 Sundeep Kochar began his career as an astrologer. He has appeared in many TV shows worldwide, such as Bach Ke Rehna on Zee News, Guiding Star on ARY Digital (Dubai) and What’s Your Rashi on Zee TV, among others. His most popular show has been Kismat Ke Sitaare on Zee News. Viewed in more than 120 countries, the show completed over 2,740 episodes — a first in TV history. Accurate prediction is what brought fame to Sundeep Kochar. The astrology mogul even made correct predictions about the winner of US presidential elections– not once, but twice — the first being Barack Obama, and later, Donald Trump. Sundeep Kochar’s work has been recognized globally. He is the only astrologer to be registered in the Limca Book of Records for hosting the longest running astrology show ever on television. Recently, he was given away the Nostradamus of India Award by Ex-Deputy Prime minister of Thailand, His Excellency Korn Dabbaransi in 10th International Seminar organised by All India Business & Community Foundation in Bangkok. A multi-talented personality, Sundeep Kochar is now all set to make his debut in one-of-its-kind Marathi movie, Bhavishyachi Aishi Taishi. The real-life astrologer has turned reel-life astrologer for the movie. Bhavishyachi Aishi Taishi also stars Ruchita Jadhav, Manasi Naik and Harshali Jeni as the leading ladies. Talking about his role, the popular astrologer explained, “The movie is doing justice to the concept of astrological predictions and its influence. Although the film is about astrology, it doesn’t endorse blind faith.” He passionately believes in destiny and it being preordained, it is written, it is for all mankind and it unravels with time. Destiny does not discriminate; we need to learn to accept the path that has been written for us. Practically situation is very difficult to predict… but as per the surveys so far, popular #HilaryClinton seems to be more favourite than controversial #DonaldTrump !! President’s House: A Palace of Confinement !! Similarly placement of transit saturn 4th & 8th from natal moon is responsible for dhaiya, also known as ‘kantak shani’. So two signs are in influence of dhaiya at one time for 2.5 years. Best remedy to ward off negative influence is to help needy & poor, don’t cheat or deceive any one. Daily prayers & meditation will help in getting lot of mental peace. So welcome the ‘Judge’ saturn to reward you as per your credentials & deeds. Wishing every one the blessings of trinity 9.9.9. LABELS: SATURN ON THE RUN………. swearing in ceromony at 6:30 pm is really a blessing for UPA government. at 6:30 pm fixed sign scorpio will be rising that would be responsible for stable 5 years of strong governance without any hindrances. ruler mars in 5th house along with exhalted Venus is a beautiful combination for dominace and prosperity. 3rd house rahu would be responsible for bold new steps & initiatives to influence the rest of the world & would be responsible for global super power status. placement of Jupiter, saturn, Sun & Mercury in the kendras would be responsible for strong & independent government decisions. In this Global Economic Meltdown (GEM) scenario, India has a strong chance to gain from this loss of west. Sun is setting in the west & now it’s going to rise in the east. India will become more self dependent specially after forming this stable government. It is a time to look above politics and support for stable governance who can `Lead India` for the `super power` status & help us to overcome this `fear factor`. Astrologically speaking the main period of planet Sun, in Independent India’s Horoscope, is commencing from September 2009 and those six years would be the best for IN-dia to pro(con)gress, the world will vouch for. Jai Ho!